The colors. The weather. The inspiration. Deanna at Delirious Rhapsody is celebrating fall with a week of Fall Fashion. So I figured I would share some of my Autumn love. I personally adore this nature/animal obsession happing right now. I want it all. To go along with all of these Autumn pretties, I created a deliciously earthy Fall playlist. I love this idea - can I borrow it? [Please say YES] and I love your fall choices. I love fall SO SO SO Much. you have some of my absolute favorite songs on your playlist! :) i have that octopus necklace, and i love it! I want that necklace so bad. I love the necklace, the bracelet, the lamp, the shirt...oh darn, I love everything! Have you seen Anna Maria Horner's new fabric line called "Field Study?" Such beautiful nature-ish prints. I haven't seen it yet, but I'm checking it out now! I need that octopus necklace...it's just darling! 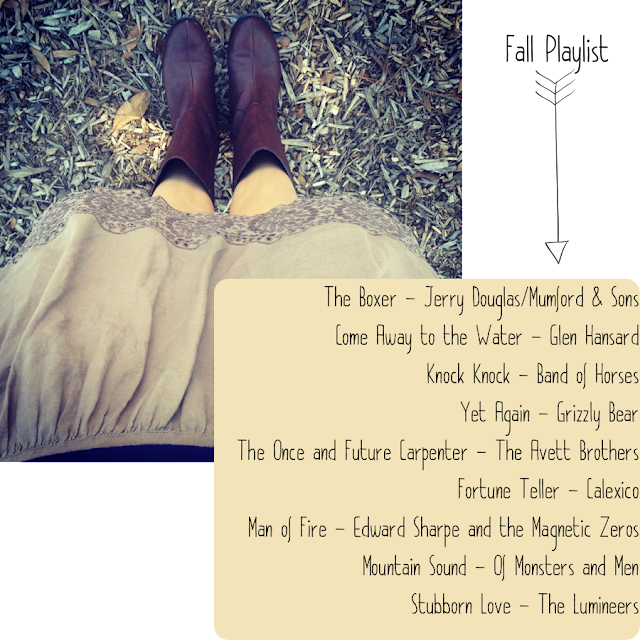 Wonderful play list, beautiful fall inspiration. I've seen that octopus necklace around, and everytime I do, I think about getting it... even though I'm afraid of octopi? hmm... anyway, I like your picks! Yes, I've seen it once or twice too. I don't like octopi, but I want it too! Oooh very inspiring! I wore that octopus on my blog yesterday! I want more animal/nature prints too! I just got a hot pink zebra dress last month. Yep, you read that right! I love the octopus necklace! Me too!! I died when i found it. LOVE LOVE everything on your fall wishlist! Everything. and the Playlist? FANTASTIC. Love that Fox shirt! This playlist is amazing!! Stealing it now! !